Teknion Studio represents a renewed commitment to design excellence through a selection of products that work now and forward, solving the problems of contemporary environments with elegance and intelligence. Spectrum meets traditional lounge seating needs and, as the work environment continues to evolve, the new demands of open areas and group workspaces. 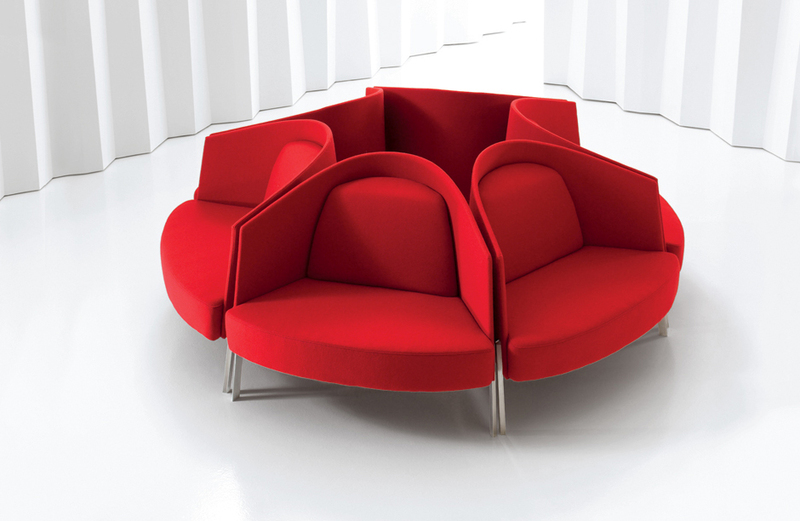 The sofa elements, when combined, produce the unique ability to divide space and define zones in configurations that run for an infinite span, as well as create interesting conversation “islands.” Spectrum addresses advances in technology. Armrests wide enough to support tablets and laptops flip to reveal a hard surface underside that acts as a miniature worksurface. Spectrum incorporates specifiable fabric zones creating opportunities that span from elegant monochrome to distinctive and bold color blocking. Comprised of a lounge chair, settee and ottoman/bench, the Fractals Seating Group is designed to support new organic planning in contemporary settings. The seating elements work together to create collaborative zones or other mini-environments in multiple cluster configurations. A higher-back option on the sofa and lounge chair more clearly delineates space and creates a greater sense of privacy. The modularity of Fractals permits a wide range of fabric combinations that allow for an expressive use of color, texture and material. 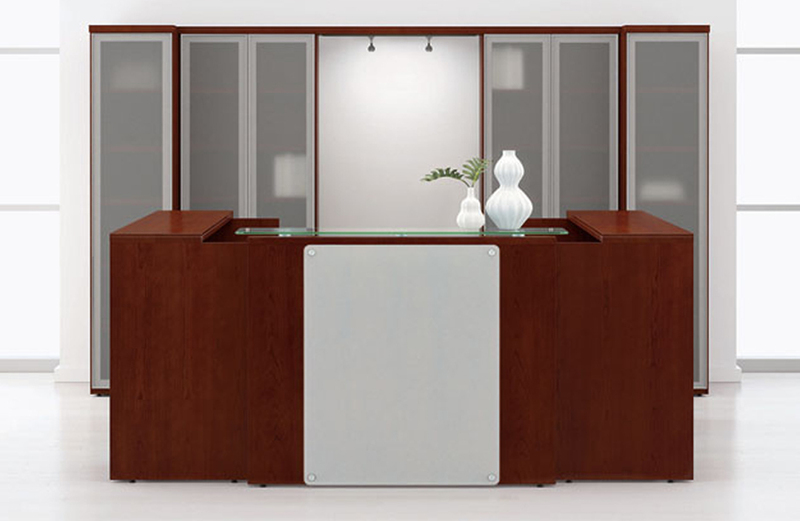 Envita is an elegant synthesis of European and North American approaches to furniture design. This unified collection of compact seating elements and occasional tables combines in a multitude of ways to create a setting for casual meetings and to encourage conversation. A rational design approach gives the collection flexibility and continuity across all seating elements, respecting the functionality of each piece, and making it possible to build scenarios that allow for various modes of individual behaviors and group activities in the workplace. 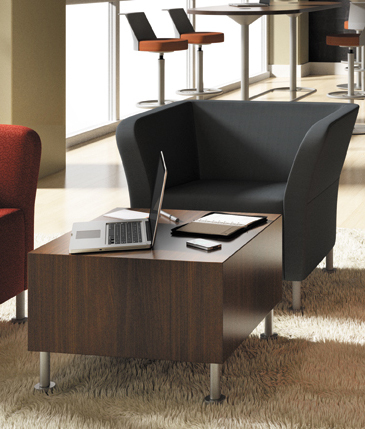 All Teknion Studio products are suited to contract, hospitality and residential environments.